The biggest show in Serbia !!! And we open the show sezone with great results !!! 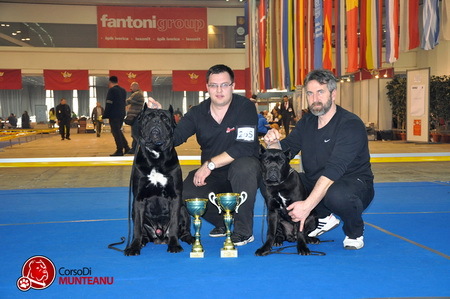 Gvido Jr. Corso Di Munteanu - champion class - V1, CAC, CACIB & BEST OF BREED !!! 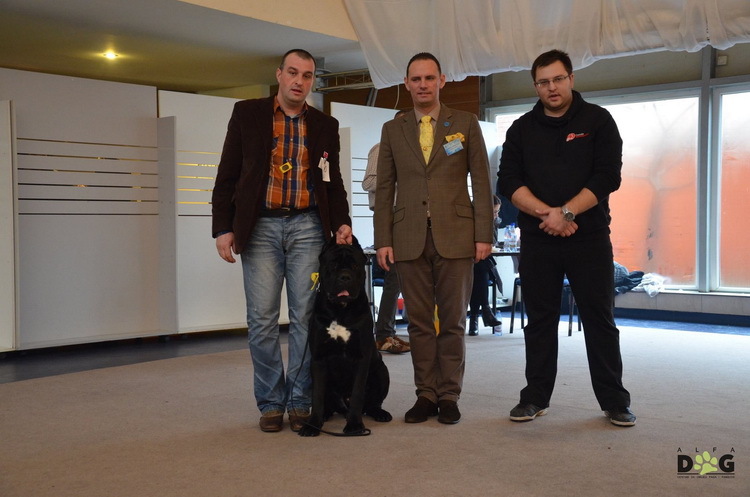 ... after a year we conquer again Timisoara - Winter Trophy and repeat the results from last year :) our great boy Gvido Jr. won again Tournament of Champions now he is The Champion of Champions for 2014 & 2015 !!! 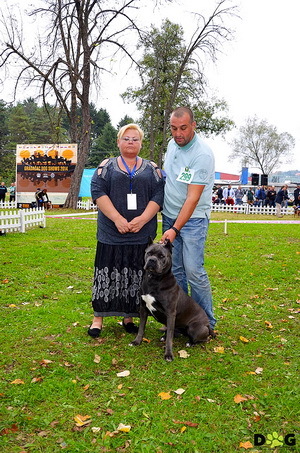 Gvido Jr. Corso Di Munteanu - champion class - CACL, BEST MALE, BOB, BOG 1 !!! 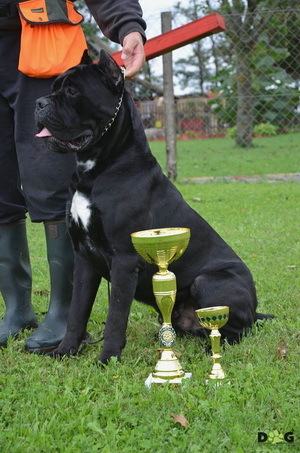 Gvido Jr. Corso Di Munteanu - BEST MALE, BOB and Champion Of Champions 2015 !!!! 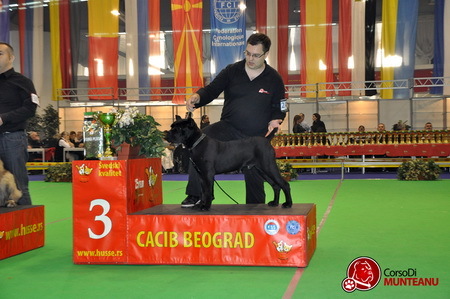 Gvido Jr. Corso Di Munteanu - champion class - CACL, BEST MALE, BOB & BOG 1 !!!! 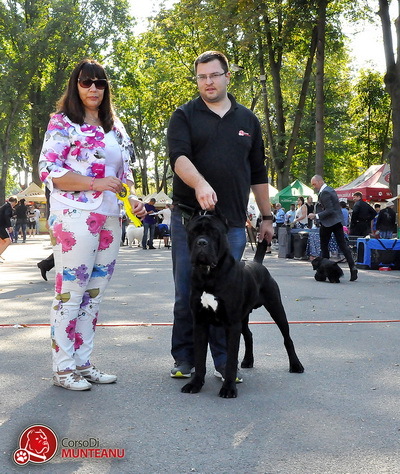 Gvido Jr. Corso Di Munteanu - champion class - V1, CAC, CACIB, BOB, BOG 1 & BEST IN SHOW 1 & SUPREME BEST IN SHOW 1 (winner of all 3 shows in Gradacac) & TOP DOG of the DAY !!!! 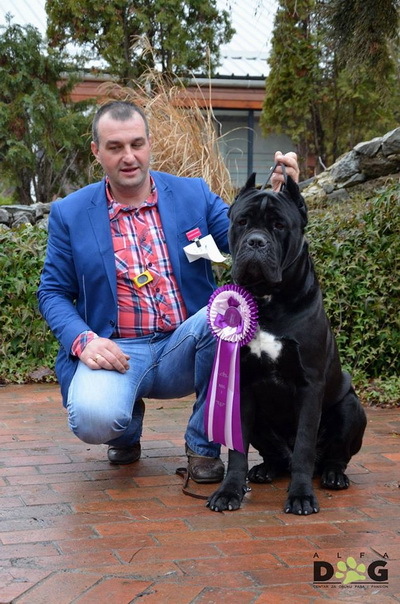 With all this results Alba become JrCH of Bosnia & Herzegovina, Givdo Jr. become CH of Bosnia & Herzegovina !!! I want to thanks a lot to my dear friend Milan Milena Ognjenovic and to his family for wonderful work and professional handling and for this wonderful photos !!! 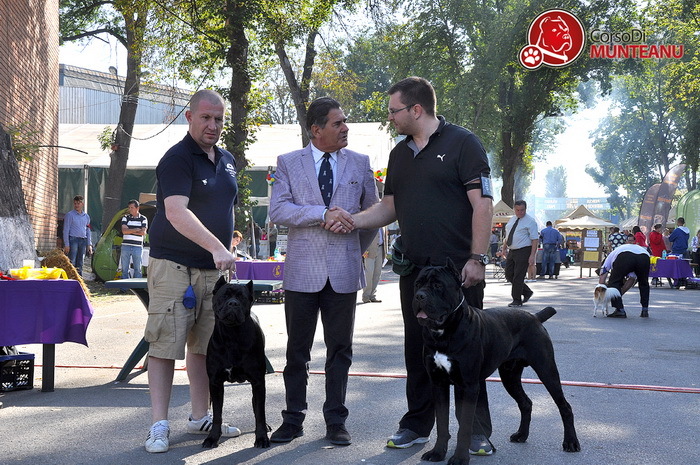 In Alfa Dog Dresura all your dreams can become true !!! 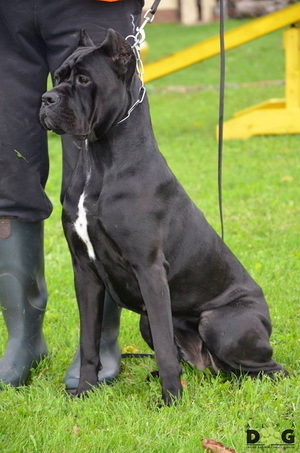 THE BEST Dog School !!!! With this results Yara become CH of Serbia!!! 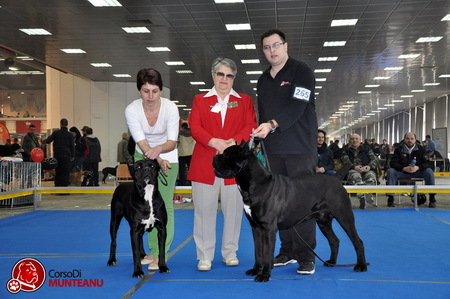 Gvido Jr. Corso Di Munteanu - champion class - V1, CAC, CACIB, BEST MALE, BOB, BOG I !!!! 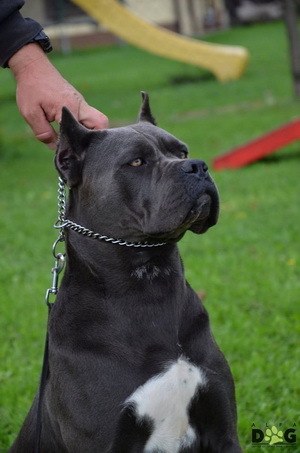 A lot of thanks to my dear friend Milan Ognjenovic - Alfa Dog Dresura for professional handling and work with my dogs and a lot of thanks to Milena Ognjenovic for wonderful photos of my beauties!!! 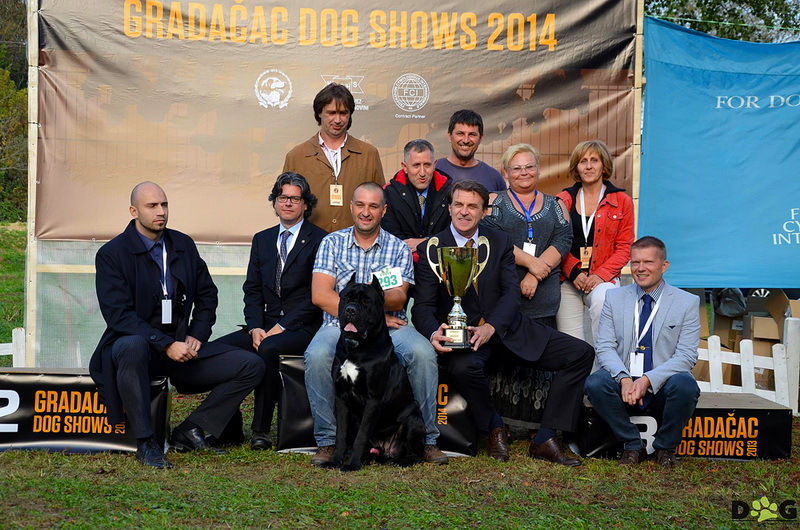 Gvido Jr. Corso Di Munteanu - champion class - V1, CAC, CACIB, BEST MALE, Benelux Winner 2014 !!! 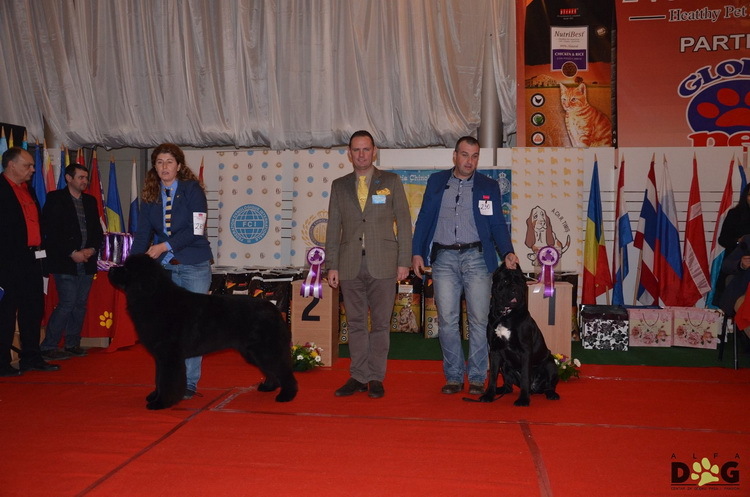 With this great results my sweet boy Gvido Jr, become CH of Luxembourg !! !